In the smart phone market, it was more of the Samsung who was leading. There was no such buzz about the LG to create any startling device. Though considered as an underdog the LG were never far behind. But with the latest flagship model launched from the house of LG, it seems like stunner. LG who were nowhere in the limelight for their recent mobile devices has finally geared up with the LG Optimus Pro in big time. The LG optimus pro was first launched in South Korean nation, and the story starts from here. With its very launch in the South Korean nation, it made some escalating figures in the sales. As per the market assumptions in the mobile world, it has been seen that the LG Optimus Pro has whitewashed almost all the other mobile giants leaving the Samsung giant by a small margin. The huge popularity and fame of the LG Optimus Pro bagged it a sale of one million in just three months. 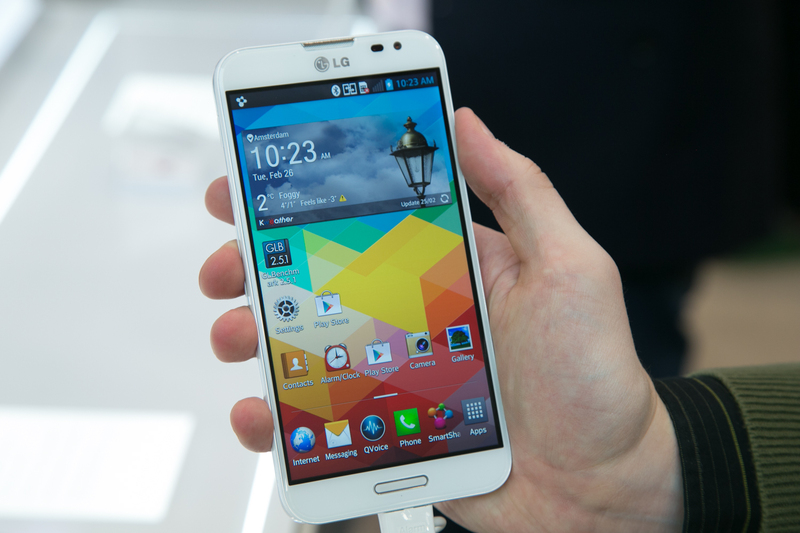 According to the insiders of the market, it can be said, it is the biggest success of the LG mobile giants. When LG Optimus Pro touched the apex of making the One million sales in South Korea just after its very launch, it touched some new records. The most important one from the house of LG’s own wing, the Optimus Pro has broken LG’s previous fastest sales, with the model named Optimus LTE. The super fast reaching of one million sales in term of competitors is also very strong. It has only Samsung Galaxy Note II above it, which has made its success of reaching one million in a little less than 3 months duration after its launch. • If taken a look on the design elements of the latest LG Optimus Pro that is launched then we can clearly say it is quite light weighted and it slips very easily in the clutches and handbags. At the same time it is quite a slimy mobile device than can be anticipated. • In terms of size it is not the type of device which you are planning to play it with one hand if you do not have big fingers. Though LG understanding needs of utilizing the device with one hand added some additional short cut keys through which a person can easily navigate to his or her preferred zone. • The smart phone from the LG runs on the android jelly bean version 4.2, it can also be updated to the latest version with time. • The highlighting part of the smart phone from LG is that it has screen of 5.5 inches and the screen is supported with high definition IPS facility and has ppi of 400. It can be rightly said though no such official all round worldwide sales figure is mentioned or announced by the LG cooperatives but can be assumed that LG Optimus Pro will surely have a long success run in the making.